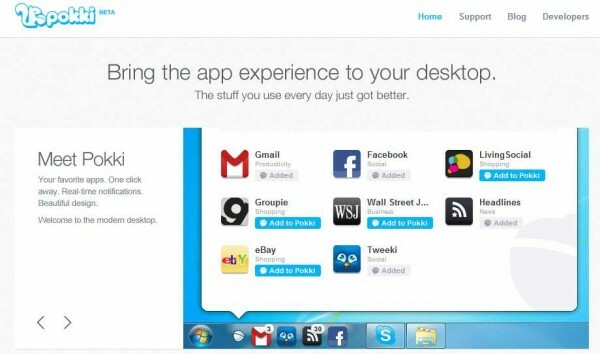 Pokki – Desktop Shortcuts for eBay, Twitter, Gmail, Facebook, Etc. 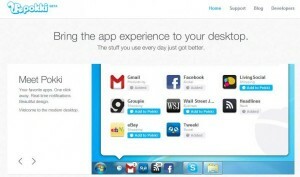 Many have learned not to rely on desktop applications and use 100% web browser to implement the various applications that exist for current browsers, but some people also prefer better if have a desktop application installed in order to live the experiences of different social networks that exist. Then comes this desktop tool that allows us to handle different widgets of different existing social networks and many of us are accustomed to daily use, it is Pokki, an application that install on our Taskbar and gives us updates and notifications from social networks that we decide to put. Currently only available for Windows platform, already working on version for Mac and Linux.